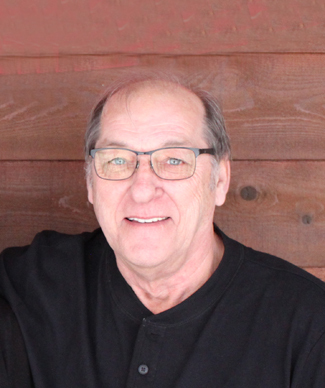 Henry LeRoy Swanson, age 64, of Cannon Falls, died Friday, January 18, 2019, at the Mayo Clinic Health System, Cannon Falls. Henry was born on September 23,1954, in Red Wing, MN. He was the son of Kenneth and Evelyn (Staples) Swanson. He was a life-long resident of Cannon Falls. 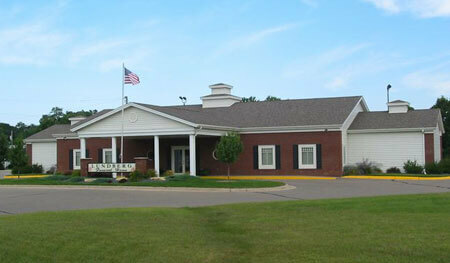 Henry attended Cannon Falls High School and went on to study carpentry at Faribault Technical School. On September 6,1975, he was united in marriage to Sue VanGuilder. Throughout his life, Henry was an extremely hard worker. He was a life-long member of the Carpenters Union. Henry owned a residential construction company and finished his career in May 2018, as a site superintendent for McGough Construction. The most important thing to Henry was the time he spent with his family. Henry had an infectious laugh and loved teasing and joking with Sue, his kids, and grandkids. Some of his most favorite times were spent driving "too far" to watch sporting events and spending time at the cabin in Nevis, MN. He enjoyed taking them on his famous golf cart rides for Saturday morning donuts at the church and many, many ice cream treats. He loved his evening cruises on the golf cart with Sue, where they were happy to just enjoy the quietness of being at the lake. He wasn't much for the water, but he sure loved watching the kids fish and play. Henry loved to travel. His favorite way to travel was to drive so that he could enjoy everything along the way. He loved his trips to Waverly for the horse auctions. He enjoyed the simple things in life like mowing the lawn, watching for deer in the backyard, and tinkering on projects in his garage. Henry is survived by his wife Sue; children Tammy (Dale) Anderson, Mandi (Josh) Hofstedt, and Luke (Krista) Swanson; grandchildren Sammy, Dylan, and Kaden Anderson, Madasyn, Mason, and Logan Hofstedt, Grace, Magnus, and Beck Swanson; sisters Kathy (Richard) Shorter, Janet (Richard) Gehrke, and Toni (Ray) Otto; brother Art (Ellen) Swanson; brother-in-law Dennis Pagel; and many nieces, nephews, and in-laws. He was preceded in death by his parents, Kenneth and Evelyn Swanson; his first wife, Patty (Janssen) Swanson; his sister, Dale Jean Pagel; and his parents in-law Gene and Betty VanGuilder. Visitation will be on Tuesday, January 22, 2019, from 4-7:00 p.m. at the Lundberg Funeral Home, 5839 Hwy 19 Blvd, Cannon Falls, MN 55009. Funeral Services will be held at 11:00 a.m. Wednesday, January 23, 2019, at First English Lutheran Church, 511 W. Belle St, Cannon Falls, MN 55009. There will also be a visitation one hour prior to the service at the church on Wednesday. Interment will be in the Stanton Cemetery.